Much fun was had by all last weekend when our care home in Kilbirnie opened its doors to the public. Set in the beautiful Garnock Valley countryside, Moorpark Place provides a comfortable home and residential care to 25 adults with autism. On Sunday, August 20, staff, residents, carers and family members came together to host an Fun Day at Moorpark to showcase our fantastic facility and strengthen links with our local community. 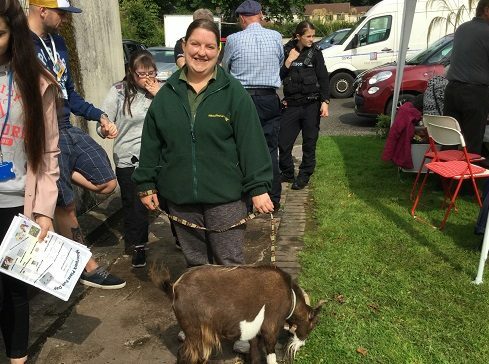 Local businesses, like Kilbirnie chocolate shop, The Lime Tree Larder, turned out to showcase their produce – the homemade ice-cream was definitely a big hit, as was Coco the goat from Hillhead Pets’ Corners! Local Fire and Police Services attended and many residents enjoyed exploring the Police van “under caution”. Outside the Hub became a focus of fun, with a giant bouncy castle, large games and face painting laid on for visitors. The sunshine even made a rare appearance which gave Catherine Edwards, Occupational Therapy Assistant, the opportunity to demonstrate Rebound Therapy – a trampoline-based therapy – to visitors in Moorpark’s impressive walled garden. 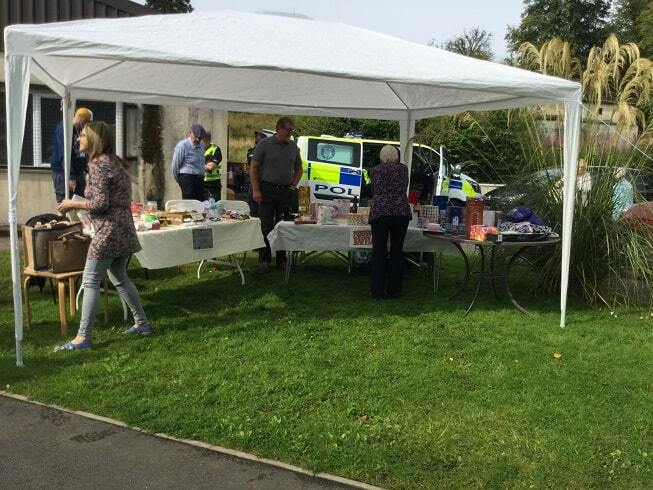 After all the excitement, there was a chance to relax with a cuppa from the tea stall and for guests to treat themselves to a cake from the tasty home baking stall while the raffle prizes were announced. Staff are delighted to have raised around £250 on the day which will help to provide new and exciting activities for residents our to enjoy. Michael Sneddon, Registered Manager said “overall it was a fantastic day and great to see so many residents, carers and families having fun”.